In 2016 Advice&Consulting meets Green Farmer, an Armenian agricultural company that produces with high quality standards and that makes the protection of the environment its strategy, choosing a natural type of cultivation, refraining from the use of harmful chemicals and GMOs plants. To the south of Armenia and the capital Yerevan, the land of Green Farmer is 700 meters above sea level, protected by the nearby mountains, near the border with Turkey, Azerbaijan and Iran, where in the distance you can see the snowy peaks of the monumental Mount Ararat. 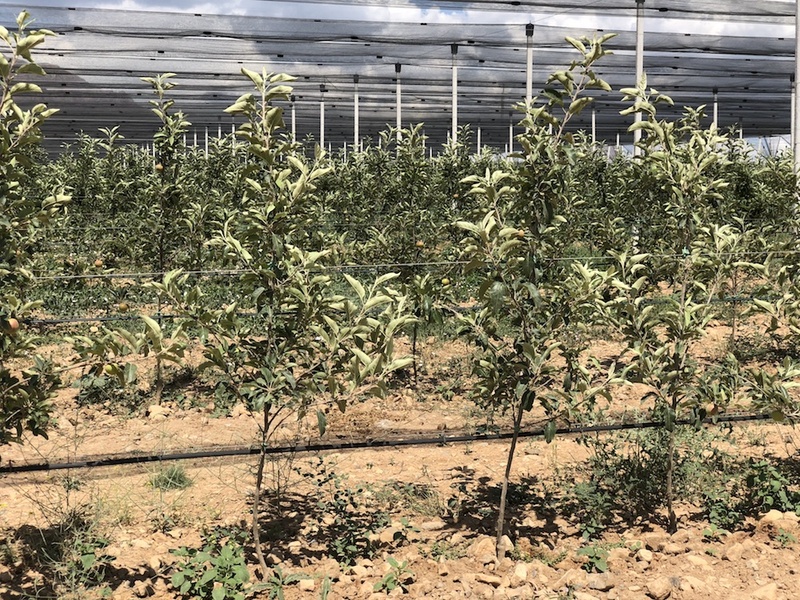 In these lands in 2017 Advice&Consulting has realized 30 hectares of intensive “turnkey” orchard that includes the plant with poles and accessories, plants, anti-hail net and the supply of agricultural machinery for processing. After having carried out a preliminary analysis of the soil, A&C advised to plant different certified varieties favored by the continental climate, to allow an early harvest: apricots (Precoce d’Imola and Reale d’Imola), cherries (Sweet Aryana, Marysa, Sweet Lorenz, Sweet Gabriel) and apples (Gala Buckeye, Golden Delicious, Gemini). 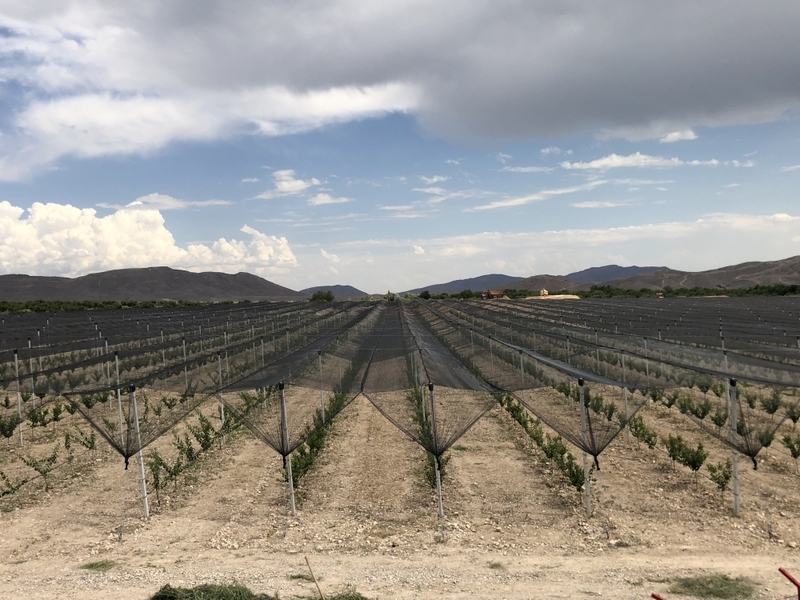 In July 2017 the planting of the poles began and in March 2018 the plants were planted, which already had buds after a few weeks. A month later, on the return of Angelo Mazzanti – agronomist of Advice&Consulting – for the installation of anti-hail nets and rainproof sheets, the flowers had blossomed. 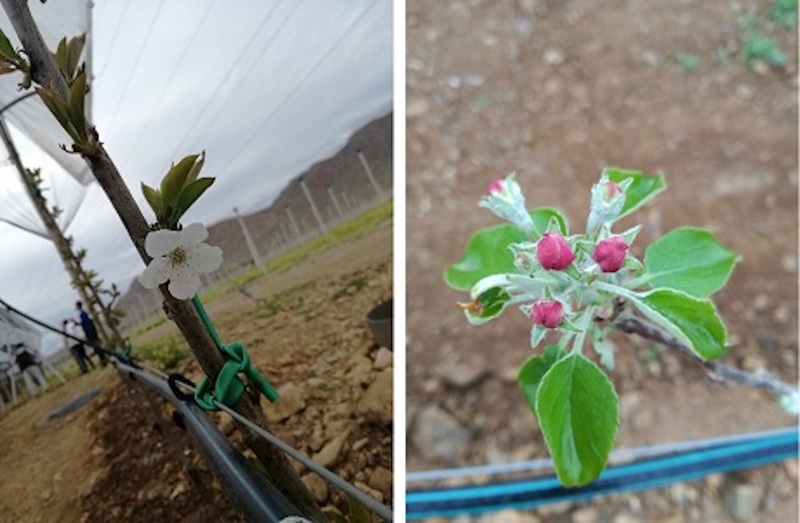 In June, some apple and apricot trees started to bear fruit and in September there will be a first harvest, with excellent forecasts for next year. 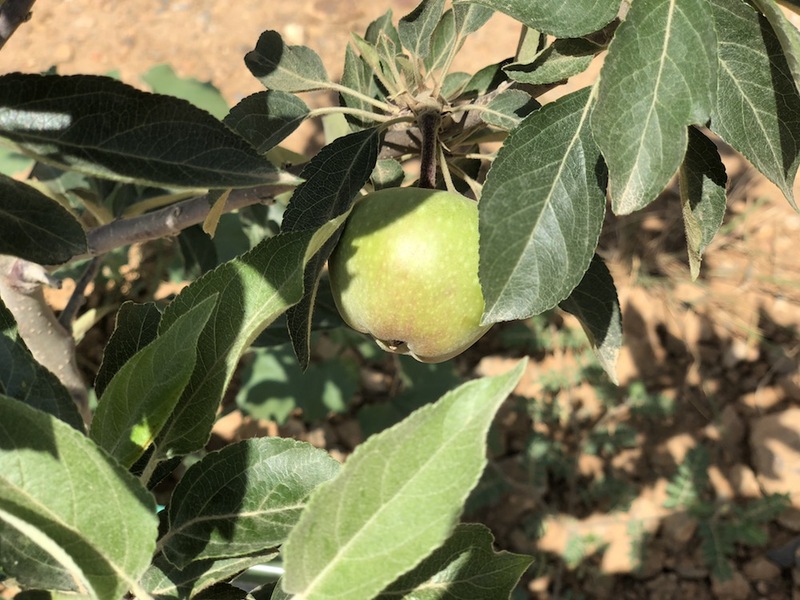 A reconfirmation of trust, the Green Farmer farm has requested a new intensive orchard project: in 2019 Advice&Consulting will plant 70 hectares of apple trees, located in the north, on a plateau at 1800 meters above sea level, near Sevan Lake. The turnkey project will also include the construction of a drip irrigation system, to provide special care, nourishment, increase the quality and volume of yield. 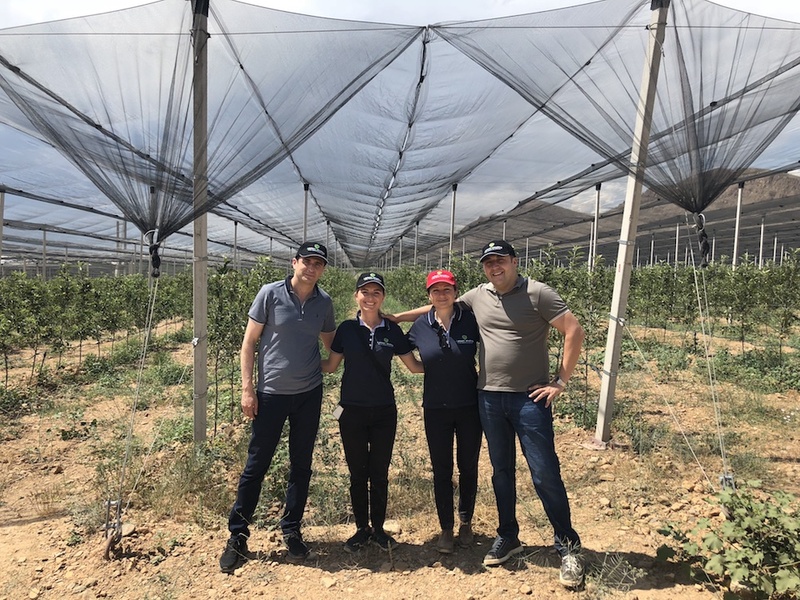 “We are very pleased to collaborate with Green Farmer, expression of how ethics and technological innovation can synergistically be the engine for the achievement of new goals in the fruit and vegetable sector” – says Alexandra Caminschi, Director of Advice&Consulting.